Played on July 11th in Atlanta, the 2000 Major League Baseball All-Star Game featured the likes of Derek Jeter, Sammy Sosa, Ivan Rodriguez, Randy Johnson and hometown hero Chipper Jones, who would hit the game’s only home run as part of his 3-for-3 performance. 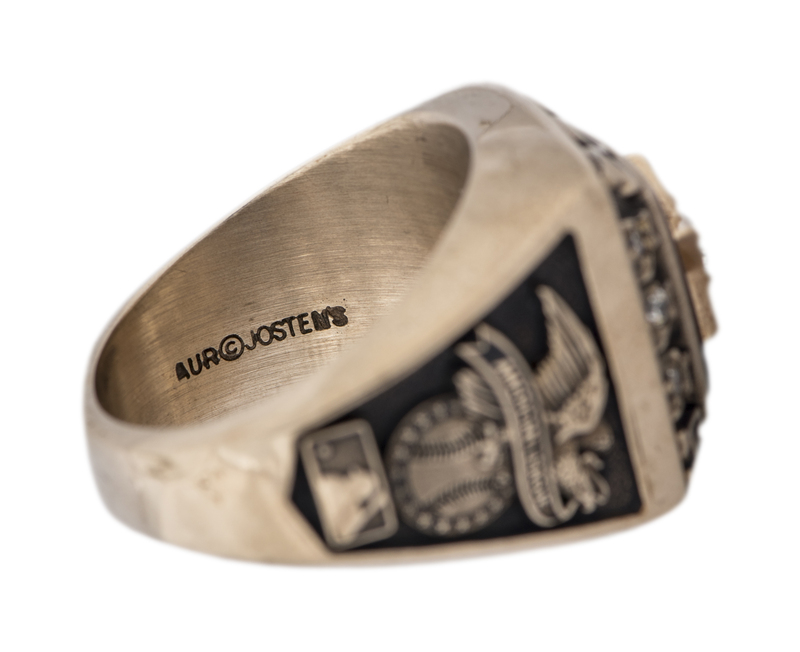 Jeter would also go 3-for-3, with a double, to win the Most Valuable Player Award in the American League’s 6-3 victory over the National League. 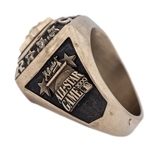 Offered here is a 2000 MLB All-Star Game ring presented to Ivan Rodriguez, who went 1-for-3 as the A.L.’s starting catcher. 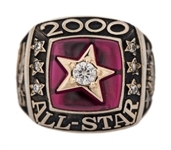 This Jostens-manufactured ring features a round CZ, set on the image of a star, over a larger square red stone. 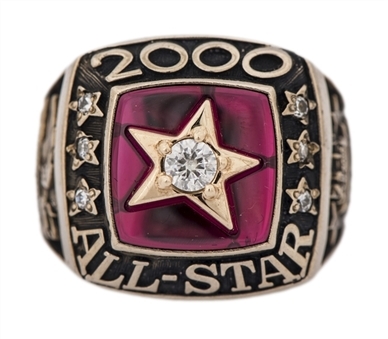 Around the bezel setting reads “2000 ALL-STAR”. 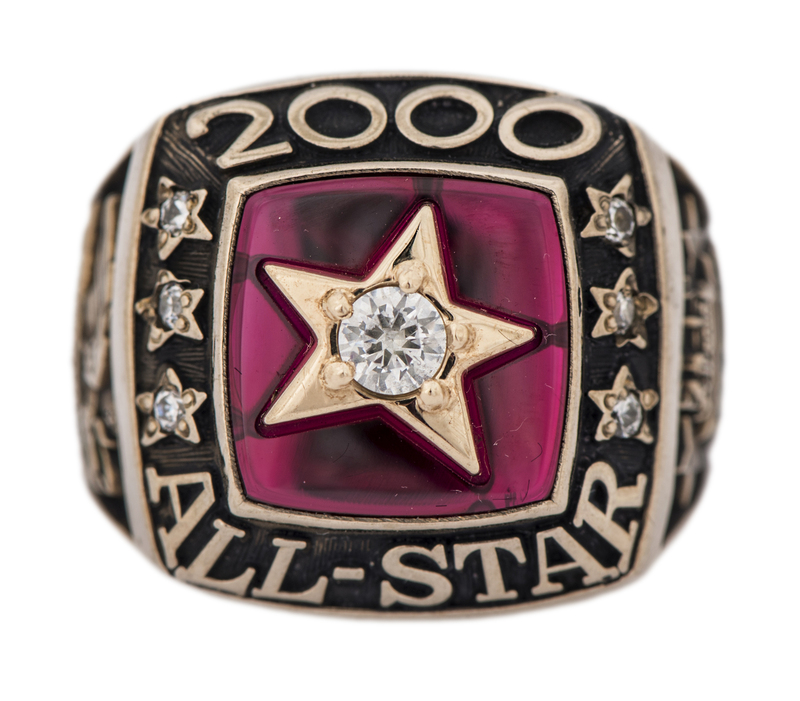 One side of the ring features the 2000 MLB All-Star Game logo, while logos for both the American League and MLB appear on the opposite side. 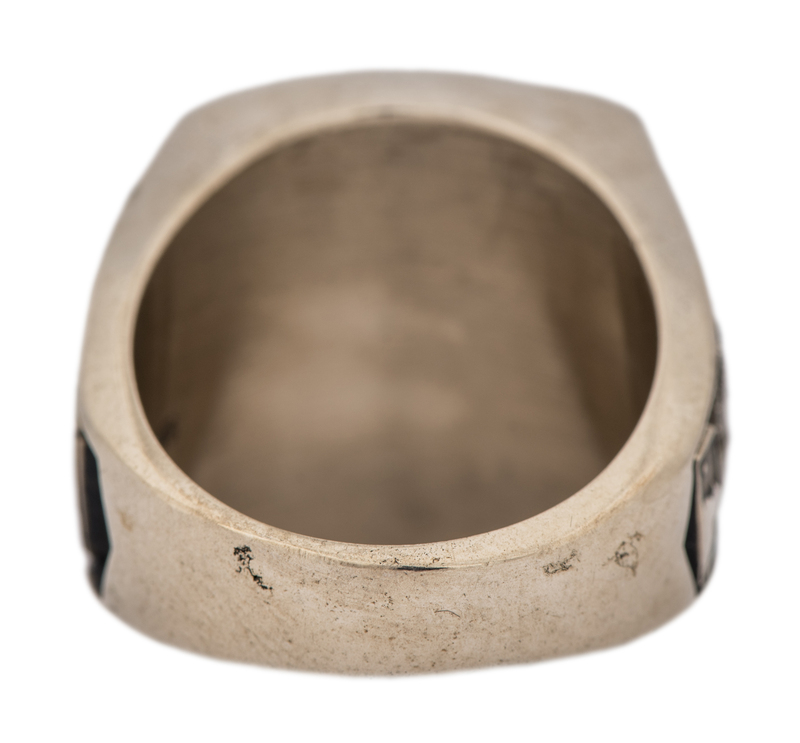 The manufacturer mark and “AUR” (auralite) are shown inside the band of this approximate size 10 ring, which weighs approximately 25.2 grams. 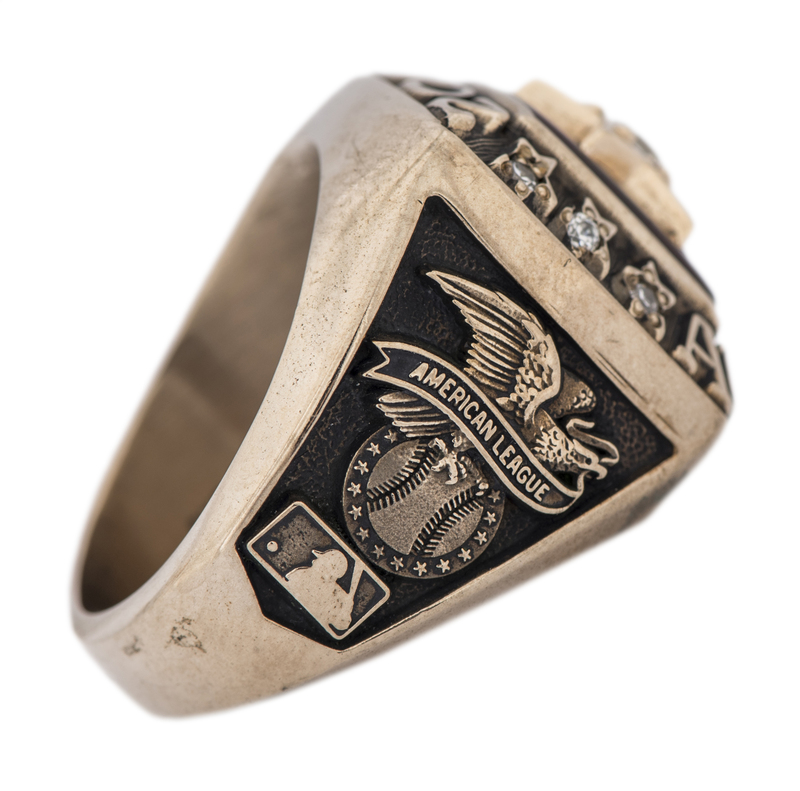 This item comes with a LOA from former American League MVP Juan Gonzalez, who states that this ring has been part of his personal collection.